Art types rotate in the perpetual circle of influence. Illustrations are inspired by music, photography by poems, etc. 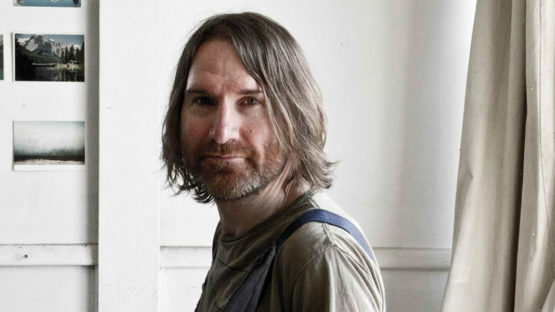 Tony Lloyd is an Australian painter who finds his inspiration in movie genres such as Film Noir, SF, and thrillers. His cold and mystic art pieces share the uneasiness of Lynch’s movies and the darkness is the same Hitchcock used to make the viewer wonder. 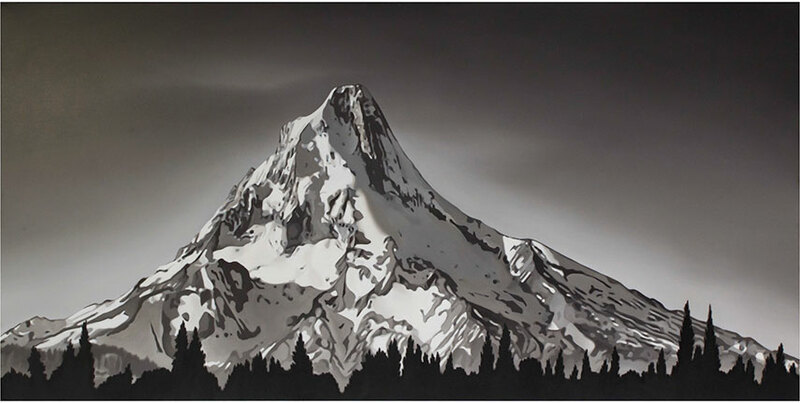 A realist in his style, his paintings can be easily mistaken for photographs of landscapes, animals, and highways. With the given inspirations and the precise way of painting, his work is an unusual crossover between popular and high culture. What’s Behind the Next Corner? As Lloyd is inspired by Film Noir and thrillers, movie genres where anxiety and cynical attitude is the creative core, he transfers these elements to the paintings. Lloyd has been painting roadscapes for a long time, faithfully reproducing the cinematic uncertainty in them. Each painting seems as if was painted from Marion’s car, right before she decided to spend the night in Bates Motel. 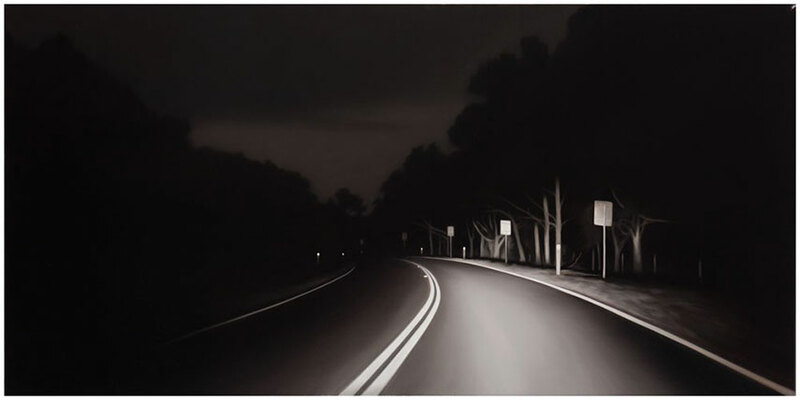 In the nighttime-roadscapes the only source of light are headlamps of the car. They are able to show only the first few meters of the road, leaving the further part in a veil of dark mystery. Lloyd constantly plays with the colors, so every night is different. One painting looks like it was created as soon as the sun hid under the horizon while other represents the last minutes before dawn. Sometimes, Lloyd inserts a reoccurring object, like a road sign, into his work to achieve an even stronger feeling of paranoia. The lack of diversity is perfect, one which is not possible in reality, only in a nightmare. For Lloyd, it’s interesting to put different elements into one painting, even if they seem as if they don’t belong together. Being able to see what could come as a result of this combination is a reason enough to try. Although his work has a strong realistic note, he often puts contrary motives into his work. Sometimes he’ll distort a landscape to the point of natural impossibility or he’ll introduce a visual detail of time in a form of bright lines dancing across the sky. Lloyd’s landscapes follow a similar color pattern. 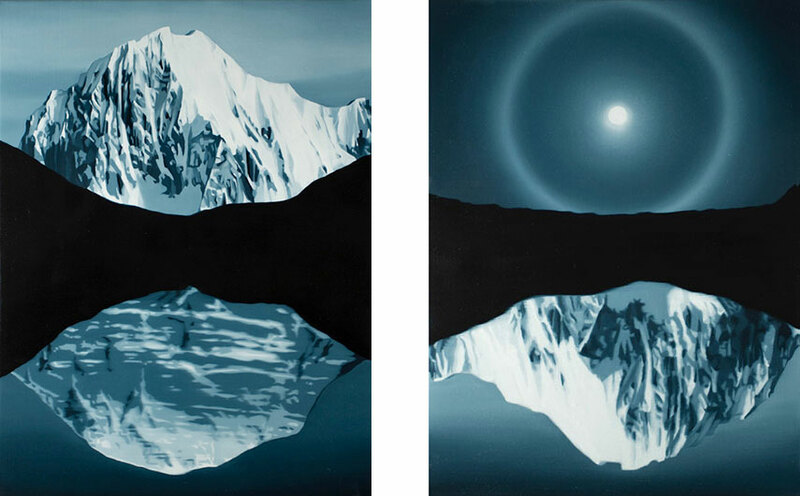 Using steel gray and icy blue colors, he creates cinematic representations of nature. Ice mountains appear to be melting as the hand of time and of humans touches them. Titles play a vital role in his work. In the example of mountain landscapes, titles often contain the motive of time, symbolizing the temporariness of all that’s material. It’s impossible to say from which time these locations are. The only thing to wonder is how long could they survive. The cinematic majesty Lloyd is able to produce in his work is at the same time dreamy and realistic. Exactly like a realistic dream, it slowly transforms into something that’s far stranger than it initially was. The more you look at his art pieces, the more you wonder how these objects really look like. Lloyd doesn’t strip them of reality in an instant. Rather than that, he peels it slowly with each painting. This is the true nature of him as a realist painter and why he finds inspiration in movies. It’s not the visual presentation that makes his work realistic, but the ability to show shifts and changes of everyday life, exactly like movies. Tony Lloyd lives and works in Melbourne, Australia.